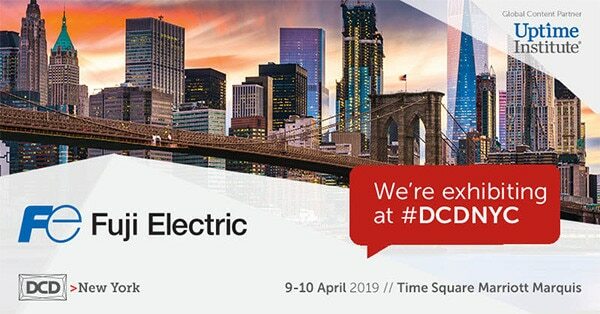 Fuji Electric’s UPS Department will exhibit at DCD>New York at the booth# 56 on Tuesday, April 9 and Wednesday, April 10 at New York Marriott Marquis in New York, NY. With more than 1,500 attendees and 80 speakers, DCD>New York brings the whole data center and cloud infrastructure ecosystem under one roof to build and operate the next-generation data center. Our breakthrough innovations with power electronics technologies have led to the development of our large capacity UPS system, which provides unparalleled efficiency and superior reliability. With over 40 years of UPS development and manufacturing experience, Fuji Electric produces state-of-the-art UPSs equipped with our own patented components for optimal performance when it counts the most. For more information, please visit DCD>New York and follow Fuji Electric on LinkedIn and Twitter for the latest product updates and announcements.